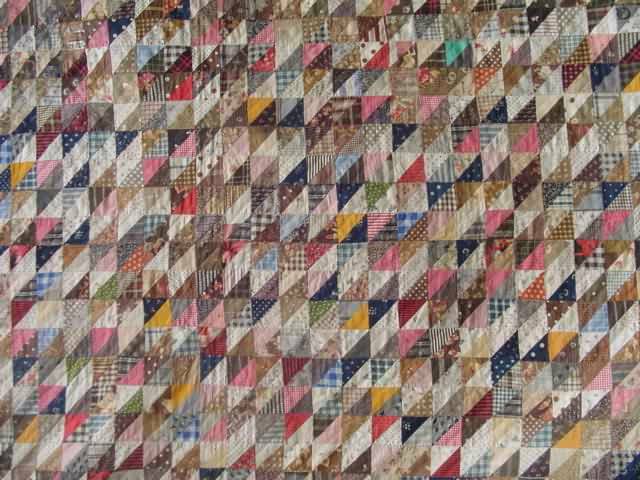 Circa 1880 “1000 Pyramids” quilt. 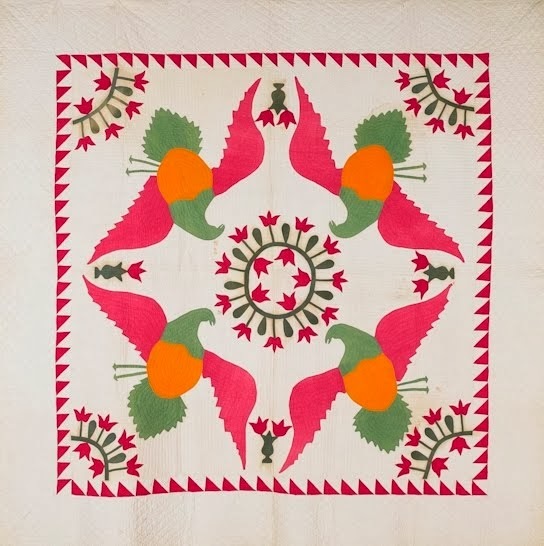 74 x 85”. 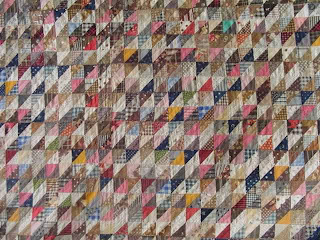 Hand quilted. Lots of interesting novelty or conversation prints. Love, love, this novelty of a girl posting her letter and the mailman picking it up. One of the all time most charming novelties. And there is a sweet shamrock and a red berry? ditsy. Remember: click on the pictures to enlarge. 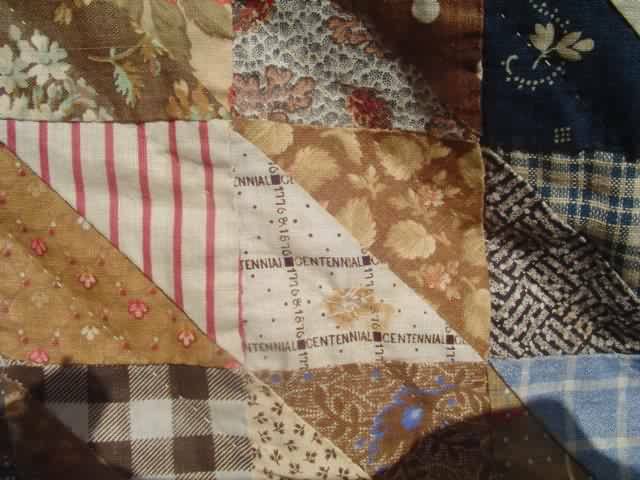 Of special note is the centennial print with interlocking dates of 1776 and 1876 and CENTENNIAL; printed for the 1876 celebration. Even with the tear and mend, it made this quilt a winner. 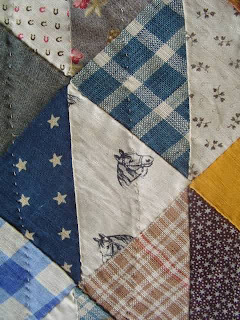 And of course, there is a horse, so often found in quilts of the era with novelty prints, also 2 different stars, a horseshoes. And lovely little branches with heart shaped leaves are too sweet. 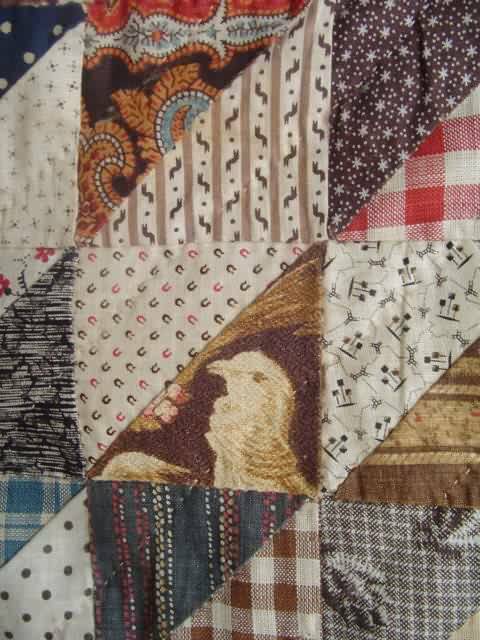 As I mentioned in my last post, plaids both printed and woven are oft found in early quilts. And here's another piece with a great bird, horseshoes again, stars, little trees?, asterisks *, etc. 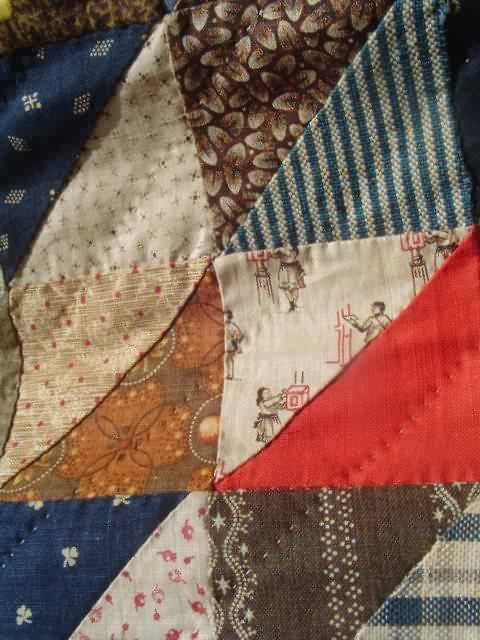 Here is more of the quilt (about a quarter), enjoy. 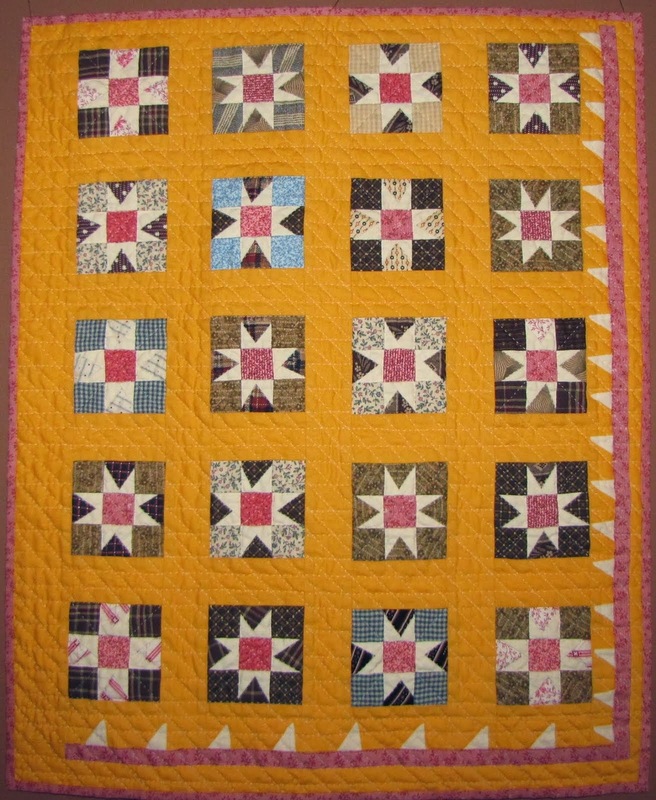 Don't the random cheddar orange pieces make the quilt sparkle. Not a charm quilt but there are a lot of different fabrics. Not very wordy this time but please let me know if you have any questions or want to see more photos and I'll will help you out.